Achieving our own version of the perfect body has been a puzzling act for ages, however, that doesn’t mean we can’t lose weight, improve our health, and feel amazing. The reason why many people don’t achieve their weight loss goals is because going down that road can be discouraging, confusing, and expensive. Thankfully, though, it doesn’t always have to be. The most important and first step before deciding on starting your weight loss journey is researching to find the right diet program that will suit you. Here are some of the most popular diet programs to give you a clear idea of what’s out there and help you decide for yourself which one is more likely to work for you. Dr. Atkins was the one who started depending on reducing the intake of carbs for the body to switch from depending on glucose for energy to burning stored fat. The discoveries that Dr. Atkins reached has revolutionized the world of weight loss and many new diets shortly after followed the same method. This diet mainly depends on leafy greens. The diet is claimed to control diseases like diabetes. High blood sugar, and proved its effectivity on lowering cholesterol levels compared to other diets; however, side effects may include nausea, stinky breath, depression, and headaches. The ketogenic diet is a strict low-carb diet inspired by Atkins diet designed to fool the body into changing its “fuel source”. The first stage of this diet depends on lowering your carb intake to less than 50 gm net to ideally 20 gm per day. This will cause your body to go into an induced starvation mode for blood sugar. The liver then starts breaking down fat into what is called “ketones” which is quickly consumed by the body for energy. This diet is considered a classic for its many benefits. Other than losing weight without having to fast for long hours, having a steady supply of energy will keep you sharp and focused. The diet, however, might not be ideal if you take medications for high blood pressure, diabetes, or if you are pregnant. Dr. Albert Simeones back in the 1950s started injecting his patient with the pregnancy hormones to treat obesity and trick the body so it wouldn’t store fats by reducing their appetite and controlling hunger. This diet doesn’t only depend on taking the right daily dosage of the hormone, but also depends on lowering your calories to a maximum of 800 calories per day. According to Gary Preacher from HCG Diet, you can control your hunger by distracting yourself with activities like cleaning or spending time with family. This diet has been updated in modern days by Dr. Oz who suggested that dieters can raise their calorie-intake up to 1500 calories a day as long as they are restricted to certain foods and proteins. 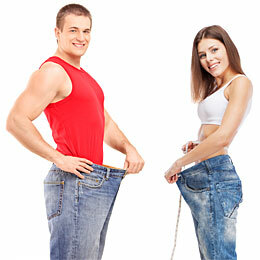 Following this diet will help you to lose a few inches by increasing your metabolism without risking your muscle mass. 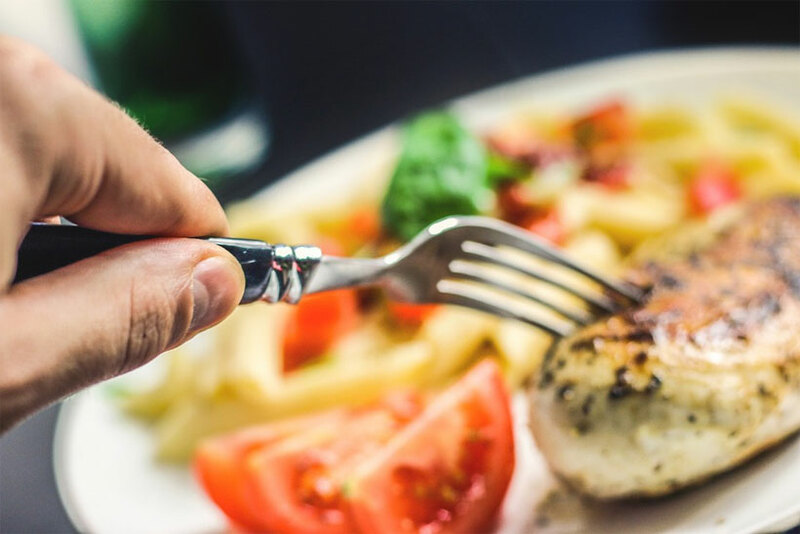 The controversy that has been surrounding this diet lies in the claims that many reported that the HCG shots didn’t contribute directly to weight loss, yet only aids in making it easier to stick to the eating plan without feeling pain nor hunger. This balanced diet is well distributed to 40% of carbohydrate intake, 30% of fats, and 30% of protein. This diet relies on controlling insulin levels to lose weight and keep it off as this diet is considered a lifestyle more than a time-framed program. The diet is for overall health rather than just for dropping a few inches as the diet promotes healthy body image and moderation instead of going on starvation mode. Dr. Agatston and the nutritionist Ms. Almon started a diet that controls insulin level to lower the risk of getting heart diseases. The diet focuses on embracing the vast benefits of depending on unprocessed carbohydrates instead of the usually followed method back in the 1990s. The doctor originally was trying to fight the wide dependency on fast food that was popular back then. The diet that started to fight heart attacks soon became a popular option for weight loss. The fundamental process of a high protein diet is to essentially cut out unnecessary and unhealthy foods from your diet and fill in the blanks with nutrient rich foods that contain protein. Because eating meat and other proteins is already a daily part of most of our lives, starting a high protein diet is easier than many other diets on this list. That said, there are some risks and moderate to advanced kidney disease sufferers beware, this diet is not going to be for you. As with other diets, consult with your doctor before starting a high protein diet. The name of this diet gives out a clear idea about the ideology behind this diet. The basis of this diet revolves around sticking the common food types around southern European countries. The whole concept right here is choosing what you eat and the quantity, instead of following a strict 30-day diet plan. Depending heavily on unprocessed natural plant-based foods; cooking everything with olive oil and depending on nuts, veggies, and fruits for dessert is a fresh change and a start when trying to be healthier and happier. Sticking to these kinds of plans are proven to help you maintain your weight rather than help you lose a massive ton of it. The Paleo diet is a diet plan based around the foods we may have eaten during the Paleolithic era. These foods typically include fish, fruits, vegetables, nuts, seeds, and lean meats. You may see or hear the Paleo diet referred to as the caveman diet, Stone Age diet, or hunter-gatherer diet. These all refer to the same diet plan – one consisting of foods from the Paleolithic era. The primary purpose of the Paleo diet is to return to the way our ancient ancestors ate. According to Paleo diet experts, the human body is a genetic mismatch to the modern human diet. They call this idea the discordance hypothesis. The verdict on the Paleo diet is a mixed one, like most diets, however, many swear by it, so it’s worth considering when searching for a potential optimal diet plan. Nowadays, diets like Raw food diet and plant-based diets are widely popular for its many benefits rather than only dropping weight. These plans disregarding their differences depend only on organic unprocessed food. This diet is specifically concerned with food in its natural form rather than boiled, cooked, and especially not fried. People who follow this diet are known to be skinnier, healthier, and in lower risk for mental diseases. A low calorie Zig Zag diet approach is a relatively simple alternative to a traditional calorie restricted diet plan. With the calorie Zig Zag diet, an individual has more freedom to divide their daily caloric intake throughout the week as they see fit. This makes it a very flexible diet plan, however, this pro can be quickly overshadowed if your plan is not properly set up and bloating, overconsumption or hunger may be experienced. In conclusion, do proper research or console with a dietician to help you properly set up your Zig Zag diet. Diets vary depending on your needs and the benefits you want to make use of. If you are looking to lose a drastic number of pounds, then it’s definitely recommended to follow a plan that is more restricted and harder in the beginning, after consulting with your doctor of course and having been exercising for a minimum of 30 minutes a day. On the other hand, if you are more interested in being healthy, happy, and fit, we recommend that you change your lifestyle and habits completely, not just rely on dieting alone. It might be hard to control yourself and your appetite to lose weight, but it’s harder to maintain the weight lost if you don’t consider changing your eating habits moving forward and adopting a long-term healthy overall lifestyle.